In 2014, the wandering artist-monk Tenzin Shenyen spoke at a Service Design Network conference in Stockholm. Shenyen is the Tibetan word for friend. And Tenzin Shenyen is a British-born Tibetan Buddhist monk who received his monk’s vows from His Holiness the Dalai Lama in July 2004. Shenyen has spent the decade or so wandering around the world, and as he describes it, “Allowing the blessing of the tradition to mingle with the secular beauties of my own culture.” His office consists of a rolled-up copy of Artforum and an old Nokia 100. He thinks he can be contacted via his blog radioshenyen, but he’s not always sure. A while back, I managed to reach him just before he left a monastery and Buddhist university in Thailand, where he had been teaching for a year. I asked if he would answer a few questions for the online magazine The Forumist. A conversation with Shenyen always helps to refresh your outlook on life and introduce a new perspective to your own worn-out conclusions. His writings and talks often remind us about the continuously changing nature of life – that karma and experience cannot be correlated for predictable effect, much less be designed. A teacher once asked, ‘How do you know what a candle is when you haven’t seen all the candles in the world?’ If he had said ‘electronic devices’, the question would be easier to imagine, to relate to, but… candles? Can’t I at least be sure about what a candle is? “Buddhist philosophy operates in that space – the space of not-knowing. And this not-knowing is the basis – the grammar – of spirituality in Buddhism. So, likewise, I want to say ‘I don’t know’ to your question, not as an answer but as one of many possible responses. How can I possibly say what spirituality is when I haven’t ‘seen’ all the spiritualties in the world? Spirituality is communion with The Invisibles. It is a relationship with that which closes your physical eyes. These closed eyes can be faked, or ritualistically assumed, or genuine. Only the latter is true spirituality. It is being open to the idea that existence is not just ‘us and the animals’ within a cold dark universe. This openness begins in discipline, then acquires dignity and presence, then dissolves into grace and abandon. By discipline I mean sustained acts of faith and imagination. What is the hardest part of your practice for you personally? You made a conscious decision to not be attached to one home for quite a few years. What was that experience like? “It wasn’t a ‘conscious decision’ so much as a pragmatic one. I was heading back to England after 11 years in Asia, I was a monk and wasn’t supposed to be looking for work or have a home. So I… just knew I was going to be homeless. And I just went with that reality. I accepted it – quite naively, actually, I would say. I didn’t know what I was letting myself in for. I bought a tent in London and then decided to wander in England. I thought, ‘Where’s the safest place to go?’ And I headed towards Cornwall. I’d never put a tent up before in my life and suddenly I was in this farmer’s field outside Plymouth, without permission, in the dark. What kind of practices or concrete behaviours would you recommend to any lay person – ‘non-medical antidepressants’? “Concrete behaviour – and concrete evidence – is only one dimension to Buddhist practice. There is also ‘water’ behaviour, ‘air’ behaviour, ‘time-lapse’ behaviour, etc. For example, mindfulness practice has now entered the mainstream as a secular practice devoid of any religious dimension. And this is fine. Buddhism doesn’t own the copyright on mindfulness. But these ‘new’ approaches, such as MBCT (mindfulness based cognitive therapy) or MBSR (mindfulness based stress reduction) lack the existential vastness of Buddhist philosophy and cosmography. The modern secular forms really just deal with a kind of ‘local’ problem and ignore the vaster existential problem – you reduce stress created by your workplace in order to… return to work and more stress. It is essentially nihilistic. Whereas, in Buddhism, you are practising in order to end all forms of suffering forever, to transcend having to have this kind of suffering body, even. Buddhism combines precise technique with existential vastness, and this dual flavour is where its power lies. Buddhism isn’t interested in changing the molecular structure of the brain – a bullet or cocaine can do that. It is interested in changing karma – the moment-by-moment presencing of reality – this is something that science can’t get a handle on. “But bearing in mind what I said in my previous answer – about the dangers of just superstitiously adopting wholesale an alien culture – I would like to see people explore the existential practices of Buddhism and take them into contemporary settings. “My personal ‘Buddhist universe’ is a scattergun intermingling of Madhyamaka, cinema, ritual practice, communion with The Invisibles, ethics, architecture, Instagram, purification practices, #verysimpledecisionmaking, #onehomeayear, silence, high-speed-super-slow, contemporary art, study as one of the healing arts – the list is potentially endless. The power of informal networks. For a few weeks I followed the efforts of two independent volunteers Joanna Ågren and Jonny Bradford, in Lesbos and Athens in Greece, whilst helping to put up their rough notes into the blog Together2016 that documents their personal experiences on the ground. Joanna and Jonny have really proved that a few determined people can make a massive difference to so many. 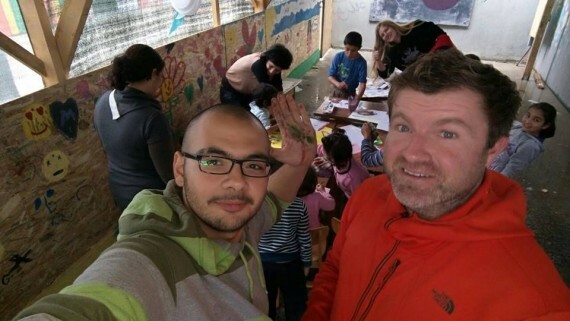 They have helped move 48 people out of refugee camps and into apartments to begin a new life. For every social media post, their informal network raised up to 20,000 SEK (2000 euro) that went directly to buy provisions for refugees, mostly via the mobile app Swish in Sweden. They went on to help set up a camp and provide classes for the kids. They achieved more than even they thought possible, with the help of refugee volunteers, other volunteers, people back home and local Greek citizens. 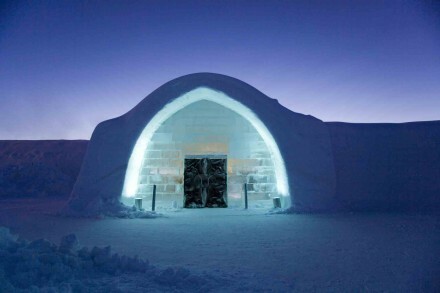 See the Facebook page in Swedish, and the blog, in English. Their testimony shows how much of the help in Greece actually came from independent volunteers – private individuals mobilising themselves, without any formal help. 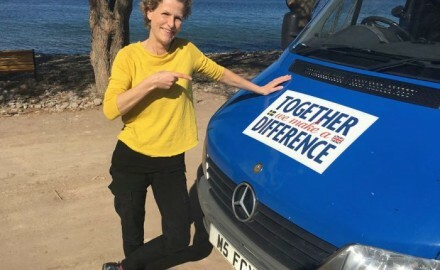 Joanna and Jonny took it upon themselves to go to Greece, not knowing exactly what they could do to help until they arrived and met other volunteers on the ground -including the refugees who were working together to help the people on the camps survive in desperate conditions. In addition, the response of the local Greek population was very moving. People cleaned out spare rooms to house refugees and get families off the unofficial camps. The few official refugee camps were also not humane places, they were not equipped, and most refugees could not get in or out. They were lacking in food, supplies, amenities, not to mention medical care. They were heavily policed and fenced in, so many of the refugees feared being imprisoned indefinitely in those camps. The impression on media was very different. Everything seemed ‘under control’. While governments in Europe spend extraordinary amounts erecting fences along their national boundaries, not one government penny was spent to help the refugees flee war-torn Syria and Iraq. 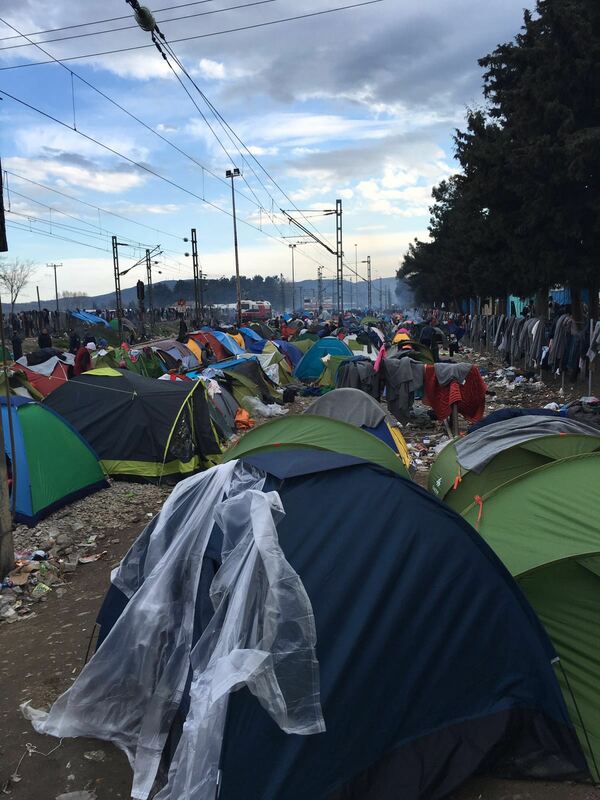 Not one penny on food and supplies in Idomeni or the shores of Lesbos. Even worse, our governments’ response has been to add to the challenges the refugees face, blocking them from applying for asylum- which, until very recently, was deemed to be a very basic universal human right. In addition, larger organisations have had to cut through a great deal of redtape to get on the ground to help people. In the meantime, private volunteers headed down to Greece to help. The blanket decision to demote and declassify all non-Syrian and Iraqi nationals to “migrant” status (as opposed to refugee) also blatantly ignored all the international humanitarian laws and mandates that have been set up since the second world war. This is not only a ‘refugee’ crisis, but a crisis of neglect, an ethical crisis. A few weeks later, Iranians went on hunger strike in Calais after French riot police, armed with tear gas and bulldozers, cleared away a makeshift refugee camp known as ‘The Jungle.’ The French police destroyed a section of temporary shelters, leaving about 3,500 refugees and other unauthorized immigrants scattered and homeless. Ironically, the French authorities described this action as a humanitarian effort. The inability of the international community to work together to respond rationally, with problem-solving solutions and long-term planning, only increased the crisis incrementally by the day. And so the help comes from individuals like Jonny and Joanna and their private networks. Joanna reports: The official hotspot camps set up by the military are full to bursting, and around 40 percent of the refugees Joanna and Jonny are seeing in the camps in Greece (official and unofficial) are children under the age of 12. There is a blog post about one family’s journey from Syria, written by a refugee, Mohammed Abdi, who helped Joanna and Jonny translate at the Idomeni camp. May his testimony serve to dispel any doubt anyone might have about the urgency of this humanitarian crisis. All oiur governments should adhere to the1948 Universal Declaration of Human Rights that upholdsaccess to asylum as an incontestable human right. In 1951, the UN refugee convention was created, providing the legal basis for signatory countries to offer asylum to refugees arriving on their soil. Blocking them from arriving is not a solution. Here is an article that first appeared in The Forumist in December, 2014. Changing Places with Ninos Dankha, Prince of Assyria. It’s easy to compare Ninos Dankha’s sultry tones to the searching expression of Nick Drake, or the pared-back honesty of Tim Buckley. It’s certainly in that Hall of Fame that he belongs. His cathartic approach to music conjures unmentionable longing: all the joy and sadness of the world. His voice has a natural, emotional intensity and restraint that can’t be feigned. The rhythm is definite, but slightly reticent and offbeat. The melodies are original, yet hauntingly familiar. Changing Places is an album that you will revisit, with renewed meaning, time and time again. Q: The name, Prince of Assyria, was it intended as a provocation? A: At the time, I think it was. But you know, the name – it was in 2007. It was more tongue-in-cheek and less loaded somehow. I just wanted to say ‘I am the Prince of Nothing’, because Assyria doesn’t exist. I wanted to say I’m not from anywhere. I’m brought up here in Sweden, and have been here since I was one year old, but I’m always asked where I am from. For me to say I’m Swedish would have been the real provocation. Q: And now more than ever, that’s a provocation? A: Yes, I think it still is. Europe is freaking out again. Blaming a whole range of complex issues on immigration. It’s the easy answer that sounds logical and believable, but it’s dangerous to opt for easy answers in challenging times. We need more critical thinking. More solutions. At least now there is a public debate. When there is no dialogue opinions go unchecked and never get challenged. Q: In a way, Sweden needs to believe the story about itself that the rest of the world believes. Are you also still defining your place in the world? A: Yes, in more ways than one. I used to dance. Making music was a natural progression. It’s just about creating something, letting whatever it is inside you flow through you – even if it is blocking you. If you focus on just the blockage, or the problems, you lose your focus and can’t be creative anymore. Being creative is the way out for all of us. The difference is, in dance there can be total silence while the movement continues. This is hard to do with music. I’m still learning how to not overexpress – to be more confident and transparent in silence and slowness. It’s a thin line. Q: What music are you listening to now? A: So much Ryuichi Sakamoto today, it’s the weather! I also listen to folk music like Karen Dalton. I had 16 Horsepower on just now. Q: Your music has been described as ‘Swedish Melancholy’. Is there such a thing? A: Yes, I suppose so. I think I’m trying to tap into some sort of universal mix of joy and sadness. That’s melancholy for me. When I think about Swedish melancholy I think about gentle, melodic voices. A shift from major to minor. In Egypt, they sing their heart outs with so much sadness! In Mexico, they celebrate death with joy – but it’s all the same feeling in those blue notes, wherever you go. It’s just a matter of rhythm or ‘touch’ that defines the cultural aspect, and even the cultural differences are not confined by national boundaries. Very little is. Q: It’s more of a changing landscape. So it’s apt that Changing Places is the last Prince of Assyria album? A: Yes. The first album Missing Note was well received, and I’m really grateful for that. There have been a lot of great people involved in Prince of Assyria. But now I have to find out what’s next. I think I’m letting go of the commercial make-up. I’m trying to learn how to have far less production. Changing Places is self-produced, but besides that there isn’t too much post-production either. Q: Yes, it feels closer. Your version of Song to the Siren in particular: You can feel the air. What are you working on now? A: Right now, I’m writing lyrics for the third album. It will be called Prince of Assyria, by Ninos Dankha. It’s a transition. 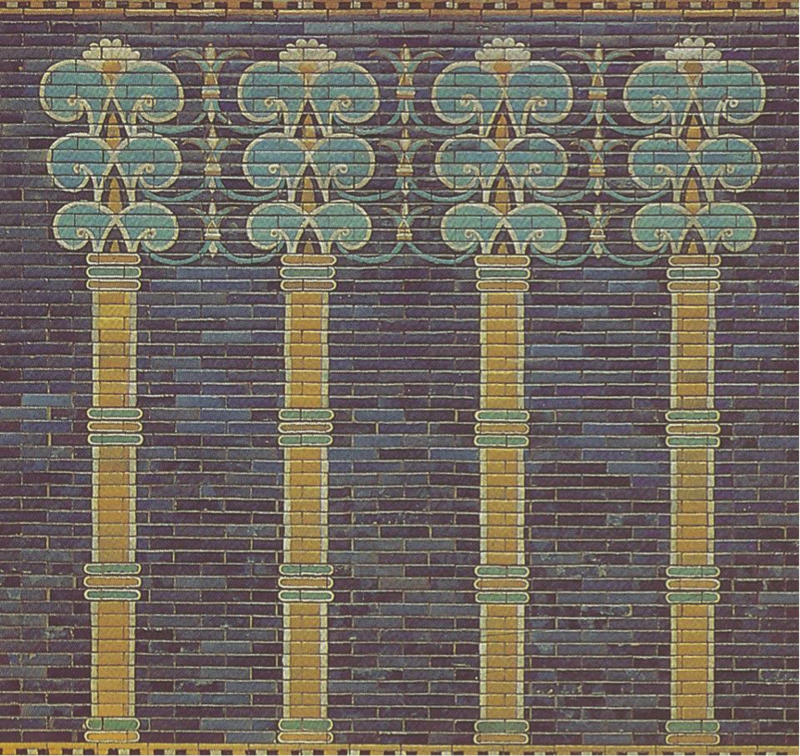 After that I can finally leave the Prince of Assyria project and see what I can do. Mentioning Assyria makes people scared and it scares me too. If I let go of that identity what am I? Q: Maybe it’s enough to start being Ninos Dankha and see what happens? A: Yes. That’s more than enough for anyone! There’s no need to go on justifying my existence. From now on it’s just about the music. @radioshenyen. On Buddhism and design. Radio Shenyen has now moved to it’s own dedicated space on Tumblr. The old posts will remain here in the archives. 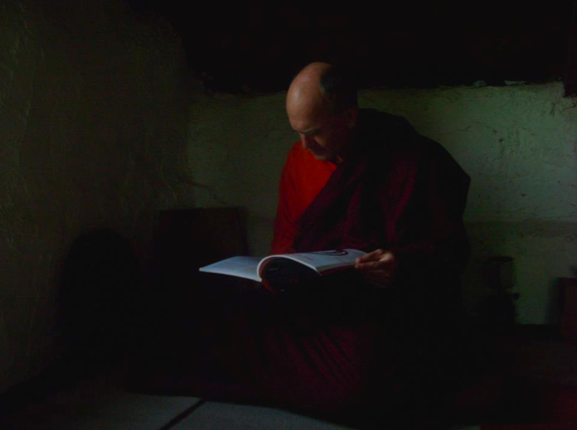 Radio Shenyen is a blog part poetry, part diary, part letter, by the British born Tibetan Buddhist monk, Martin Hodgson, aka Tenzen Shenyen. Shenyen received monk’s vows from His Holiness the Dalai Lama in July 2004. Shenyen, that means ‘friend’, has spent the last ten years wandering around the world, allowing the blessing of the tradition to mingle with the secular beauties of his own culture. In 2008, Shenyen slept in 93 different places. His office consists of a rolled up copy of Artforum and an old Nokia 100. In October, Shenyen will be speaking at a Nordic Service Design Network’s conference on ‘Creating Value for Quality of Life.’ His talk will offer a Buddhist take on design, arguing that karma and experience cannot be correlated for predictable effect, much less be designed. The task of designers today is to ride the chaos and make decisions characterised by ‘innocence’ and precision. From cinema directors to kamikaze pilots, from biographeme to biography and back again, Shenyen traces a soft logic lineage of ‘contemporaries across millennia’. With everyone’s imagination atrophied, no one will ever be a threat to the world. The exhibition by Pavel Matveyev at Cigarrvägen 13, Stockholm, is titled “With everyone’s imagination atrophied, no one will ever be a threat to the world #3.” A complex and though-provoking title presents a very simple installation of one large scale photographic image to be viewed from an armchair, with headphones of a soundscape, an audio documentation from the same site. 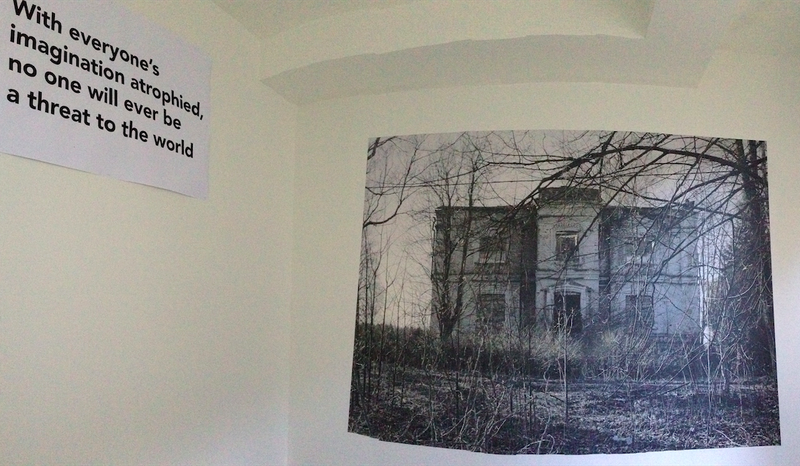 The image he chose was of an abandoned manor house on the outskirts of Moscow. The house was originally an aristocratic palace, but like many buildings of its kind, was converted into a public institution during Soviet times. After the revolution, properties that weren’t converted into sanatoriums or hospitals fell into disrepair. And in turn, those institutions have long since been abandoned. The specific history of this house, although uncertain, calls into a questioning of what history and cultural identity means in the post-soviet era. Without a ‘golden age’ to fall back upon, how can these fading, decrepit romantic visions be anything more than documents of catastrophe? What image of ‘culture’ can be salvaged from history to remain relevant to today and moving forward? The manor house is viewed through an entanglement of overgrown branches. Dead wood obscuring the view a once splendid, great culture? Or a new, neural network emerging out of the ruins? Maybe both. 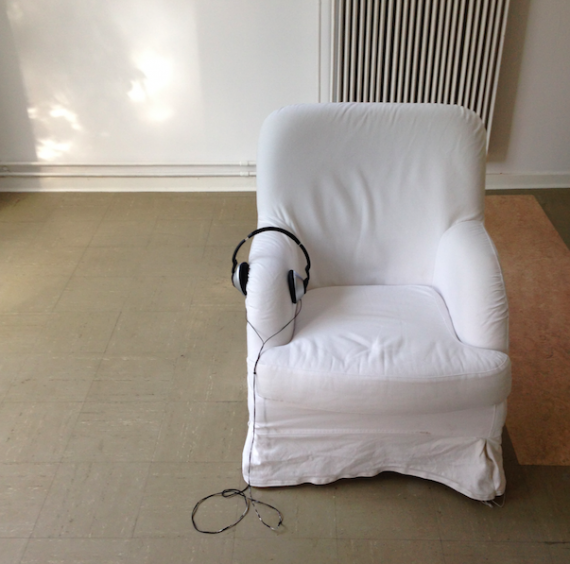 The most interesting part of the exhibition is not the image by itself, or image as art, but the decision by the artist to merely wallpaper the gallery with the image and guide the viewer to be seated in a comfortable old-fashioned armchair, to view the work whilst listening to an audio sample taken from the site. The work becomes temporal and highly evocative as you are emerged in the soundscape and the blown up patterns. You can hear and feel that this is a documentary of an abandoned space as you are surrounded by the rustling of leaves and the feint sound of dogs barking in the distance. It is a catastrophe that has happened. It is too late. You wait for a narrative or voice to appear, some semblance of human presence, but it never does. The audio is on a 3-minute loop, offering no answers and no conclusions. You almost start to hallucinate traces of human life. Can you hear voices or music in the background or is that sound from outside the gallery, the here and now seeping in through the corners? For a few minutes you are thrown into a powerful drama in this space. But it is emotion observed, not filtered, emotion filled with gentle acceptance. Whether this is a questioning of a image-making, a nostalgic longing for a meaningful contemporary cultural identity, or a personal coming-to-terms-with-history, Matveyev captures your heart through your senses with a sensitive and elegant intervention. He swiftly avoids the work becoming bombastic or clichéd by merely pointing us to experience an image in a new way again. It’s optimistic: your imagination is not atrophied; it just needs to be awakened gently. Matveyev’s exhibition is a commentary on all the consumption of all ‘culture’, bringing into question the relentless flow of images we experience on a daily basis in bite-sized packages of ‘history.’ Imagination is not dead or atrophied. But we must understand that images contain a tremendous power to influence on the way we think. They direct our awareness, and by doing so, shape our world view and our collective memory -no matter who we are or where we are from. Pavel graduated from Moscow State University’s faculty of journalism in 2002, and in 2006-2007 studied photography at the University of Brighton, UK. 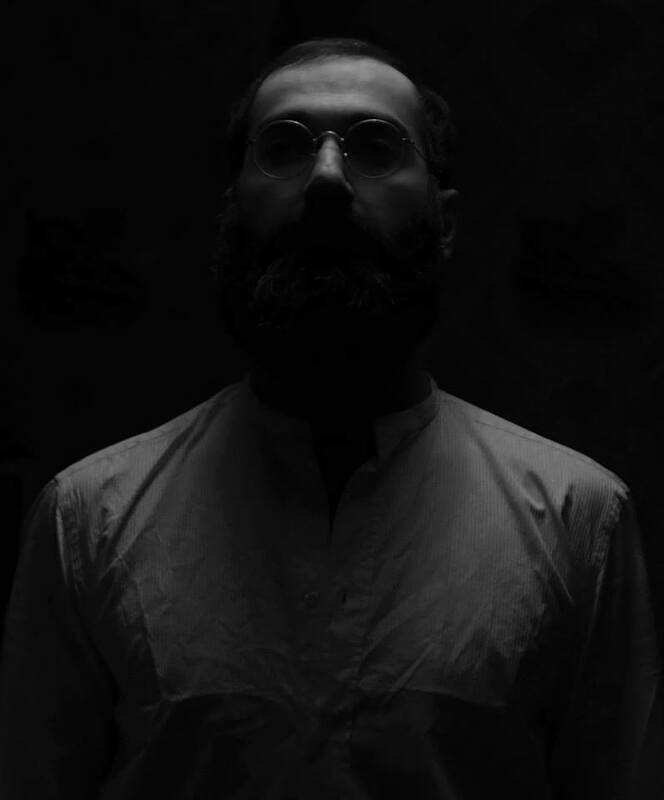 In 2012 he received his Master’s degree in Fine Arts from Konstfack in Sweden, where he is now a permanent resident. In his work Pavel Matveyev explores connections between the private and the public, reflecting on nostalgia, melancholy and the luxury of boredom, often investigating notions of the gaze and the poetic image. 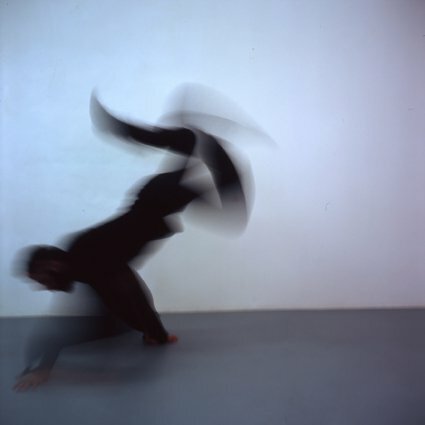 In this process he employs simple tools in the form of photographic and audio recordings. His works are held in private collections in Sweden, UK, France, Norway and Russia and he has exhibited at Konstfack, Gävle konstcentrum and Arkitekturmuseet, Stockholm. Cigarrvägen 13 is a 30-square-metre art space run by Stockholm-based artists Ami Kohara, Frida Krohn, Ylva Trapp, Johan Wahlgren, Helena Piippo Larsson, Maryam Fanni and Lisa Renvall. Together they form an artists collective who aim to make it easier for all types of local artists to exhibit their work. Cigarrvägen 13 has been opened with support of Stockholms stad. Allen Grubesic. A random exhibiting artist. An exhibition by Allen Grubesic promises a thought-provoking moment of clarity for people familiar with his work and those new to it. Stripping messaging back to its core essence is the nature of Grubesic’s practice. By focusing his energy on dissecting the very nature of communication and image making, Grubesic engineers works that are both politically relevant and visceral. Many artists aspire to provoke a personal questioning of the times in which we live. Few do manage to do it with such precision. Grubesic doesn’t waste time or effort on avoiding categorisation. Text and sculptural objects are the main tools he uses to provoke an immediate emotional response in his audience that is certain to be followed by a cascade of connotations and interpretations. Grubesic playfully caricatures himself and his work so that it is visible in a world obsessed with packaging easy answers. Whether the works provoke a smile or a ‘WTF?’ response, the artist knows how to get your attention, and sustain it with poetic refinement. 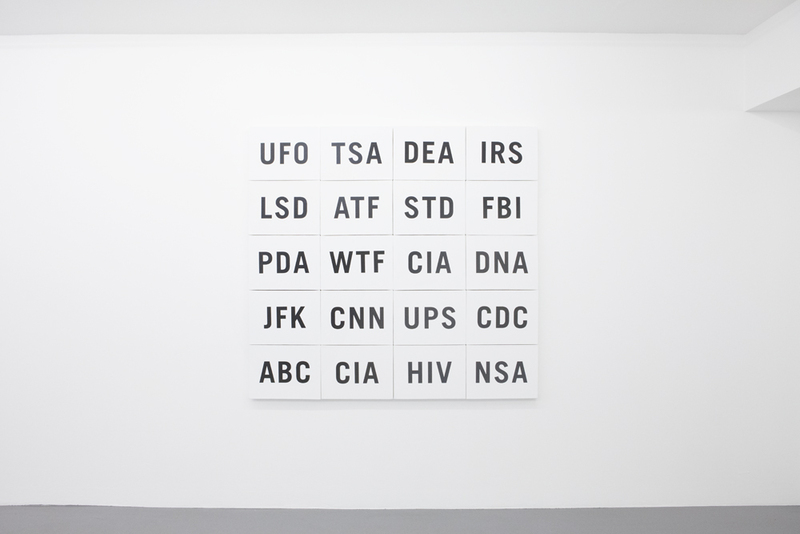 Conspiracy Theory is a collection of 20 text-based hand screen-printed panels, placed in a random matrix to form a strategic messaging model that can be rearranged to create new hierarchies of ‘unexplained’ acronyms. It is data visualisation and big data gone analogue. The acronyms are iconic, modern-day hieroglyphics. Each familiar set of letters fronts a sinister background conspiracy theory. Your eyes and mind flitter back and forth between ‘CIA’ to ‘NSA’ to ‘HIV’ and back again, subliminally throwing up a plethora of associations. Our understanding of these commonly used acronyms is shaped by their representation in media. Each ‘conspiracy theory’ is topical. The acronyms have been carefully chosen to balance precariously on the edge of ambiguity, hence the random placement. Each acronym is connected through association with its neighbours in the grid. You may associate the acronym WTF with ‘Wikileaks Task Force’ – but WTF is still the perfectly adequate and appropriate response. Does PDA represent ‘Public Display of Affection’ or ‘Personal Digital Assistant’? Both are equally poignant. The former can get you thrown out of a restaurant and into a prison – if you are gay. The latter is the major driver of a society that allows this happen, whilst giving us some semblance of personal freedom and choice as globally connected citizens. What was once considered ‘conspiracy theory’ is now widely accepted as fact. The shift in ‘transparency’ is relatively very recent but also ongoing. The speed of media consumption is increasing at an exponential rate along with connectivity. We have reached a tipping point where the easiest way to disarm an idea is to ignore it and let it into the oblivion of history. In a hyper-connected world 3 minutes ago is history. Our personalized #WTF messages are continuously regurgitated into a diminishing ‘public’ realm as shared content. As Grubesic points out with Conspiracy Theory, this is not random, it is considered. A self-perpetuating system of self-imposed censorship is the ultimate Conspiracy Theory. But it isn’t all gloom and doom. Grubesic’s sculptural works range from the strangely sexual Staring at the sun to the more humorous yet equally engaging Frying pans. Awareness, when coupled with humour, can liberate us from the banal. Grubesic’s work is thought provoking but it’s also a lot of fun. He uses the most efficient means possible to deliver an immediate emotional punch, but he always leaves you enough space to mediate your own relationship to the image you are confronted with. The energy of the work is carefully weighed and harnessed so that it is an important part of your experience without being dominating. In Frying pans, the commentary shifts. The pans are imported ‘readymades’, but on closer inspection you can see they have been carefully sandblasted. Oversized cartoon-like eggs are manufactured with finesse; the plasticised matt finish is tactile and seductive. The image may be appropriated and amusing, but the production process is complex and considered. As representations of ceaseless and excessive production and consumption Frying pans is both obscene and refined. Grubesic is obviously at home in the field of production he is participating in. Humour, detachment and critical thinking are all part of his practice. But his work is not cynical or bombastic. Grubesic humbly invites us to stand alongside him as critics and perpetrators of the culture we all share – with large amounts of wit and generosity. Allen Grubesic (b. 1974) graduated from The Royal Institute of Art in Stockholm in 2003. He uses text, print, photography and sculptural objects to analyse and deconstruct messages that epitomise the contradictory nature of popular culture. Grubesic has had solo shows at the Museum of Contemporary Art in Zagreb, Natalia Goldin Gallery in Stockholm, Alida Ivanov Gallery in Stockholm, Charles Bank Gallery in New York, and most recently at Niclas Belenius Gallery in Stockholm. 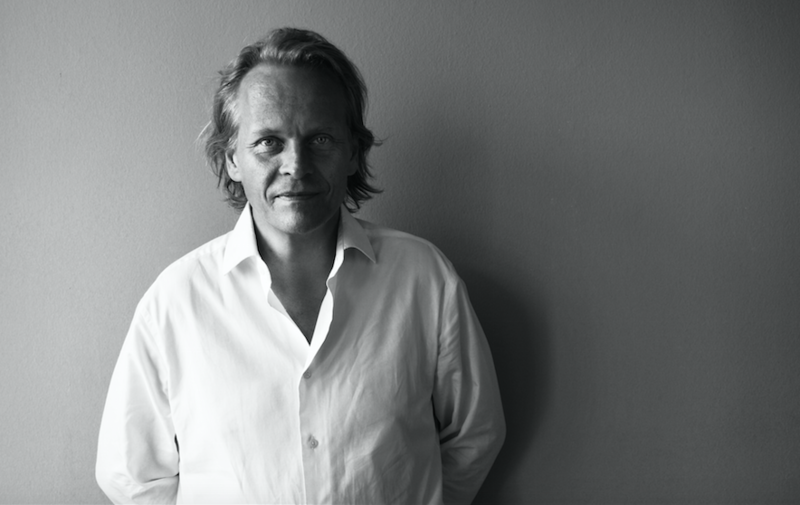 His work has been exhibited at Kunstlerhaus Bethanien, Berlin, The Modern and National museums of Stockholm as well as Tensta Konsthall, Kiasma in Helsinki, Bibliotheca Alexandria in Egypt, Lautom Contemporary in Oslo, Laviola Banks Gallery in New York, and Maria Stenfors Gallery in London. 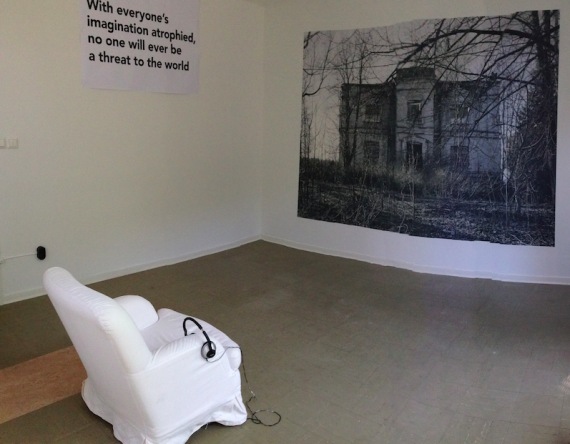 Allen Grubesic is represented by Gallery Niklas Belenius, Stockholm and is currently showing at Oslo Kunstföreningen. Seeing things differently. Design Thinking needs Critical Thinking. Every design process is multi-disciplinary, with a process that aims to take into account multiple perspectives. But how much do our design decisions create negative impacts and outcomes that we would, normally, horrify us – if we consciously designed them? This is the challenge Design Thinking faces. To go deeper to create zero negative impact on the world around us. Visualizing complexity is a design approach that has always been used to handle multi-layered facts and perspectives. But how can we challenge the assumptions and preconcieved ideas we don’t even know we have? By using creative methods to visualize dry data, diverse people in an organization can be engaged in critical decision-making, from the outset of a project, but most importantly, when our design is out there in the world. We need to design continuous improvement out on the marketplace into our products, services and systems. Turning dry facts into deep insights enables rapid and relevant decision-making. And it is only the people within a company who can know what relevant steps are needed for innovation. Doing the right things based on the wrong assumptions is not innovation. An easy to understand example we can all understand are maps. Maps have to be ‘designed’ correctly for the specific task at hand. Take the world map as we know it today. The Gerardus Mercator’s projection was first published in 1569, and became widespread because it depicts a line of constant bearing as a straight line, which was relevant at the time for marine navigation. But the drawback of using that map today, to visualize new and existing business markets, is that it distorts the shapes and relative sizes of all the countries. The map distorts our perception of the world and how we view people from various parts of the world. 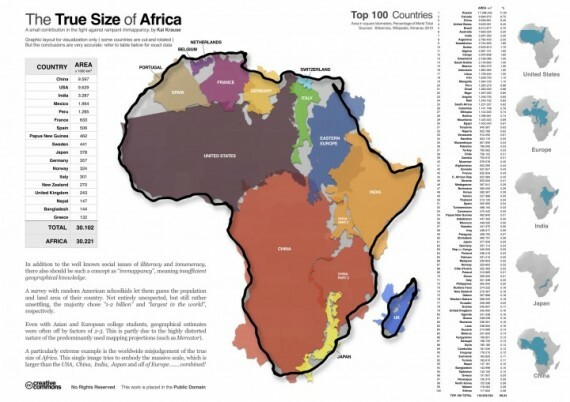 The map of True Africa created by Kai Krause, shows that Africa is far larger than we think. Then see the maps on land area to population, or amount of money per head spent on healthcare, and we instantly gain a more informed picture on which to base our innovation strategies. The True Africa map by Kai Krause shows the size of the continent in relation to European counties. 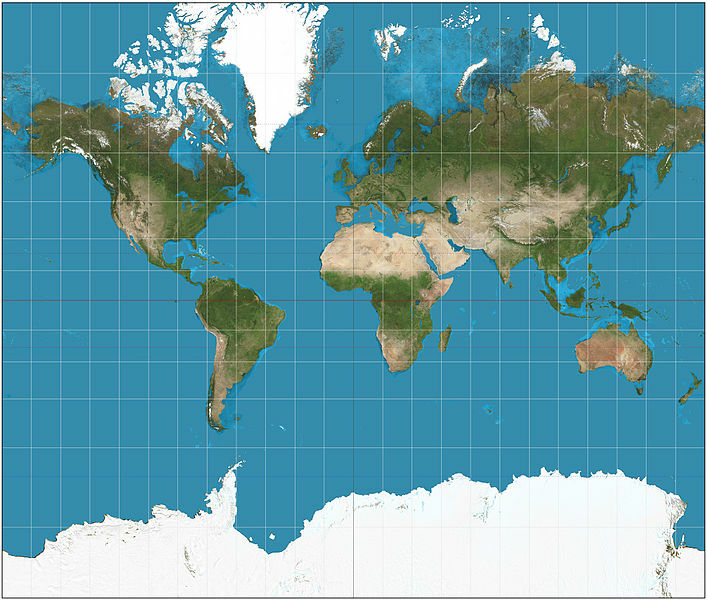 The Gerardus Mercator’s projection was made for marine navigation. Innovation is not so much of an outcome, as a process of asking the right questions at the right time, and asking them again and again, reiteratively. Since a company’s offering exists in real-time, across connected or digitally enabled networks, so too do the insights and information that continuous questioning and decision making are based on need to be in real-time. Innovation means never being satisfied with the obvious assumptions. And to break preconceived ideas we now have big data and data visualization. Although a company cannot map all the potential outcomes of its activities, visual mapping can play a large part in nurturing breakthrough thinking so that a company can focus on what it does best – and partner for the rest to bring in more critical thinking. Critical thinking is what is lacking in Design Thinking. Data visualization has yet to find its role in delivering real-time information for communications within a company, for critical decision making, or for real time communications between a company and its network, who, in a connected world, should be more deeply engaged in the ongoing strategies, activities and outcomes that bring to life a brand’s vision of innovation without negative impact on environment, communities, nature…existing economies and cultures, and of course, health. Maps don’t always make good online interfaces, but they do help us understand data in an intuitive way. Moving into a service-driven world, a company’s offering is continuously evolving and data visualization can be used to engage different types of stakeholders in the ongoing process of value generation. Imagine, for example, a call to action to developers to test and hack a beta digital service “pre-launch”. Or real time, localized invitations for users to swarm around an open innovation event, on and offline. Or adding services by using data collected from the public realm, such as traffic or weather reports, or national averages on life expectancy in relation to lifestyle choices. Innovation as continuous improvement should be continuous rather than be an occasional manned mission to Mars. Visual maps in themselves do not tell us what to do, but they can help us harness knowledge and creativity to solve critical issues and problems. No market research report or marketing message can compete with factual, real time information. We need to use technology and its designs to help us question all the assumptions that we take for granted- and make sure our good intentions result in meaningful and even destructive activities.